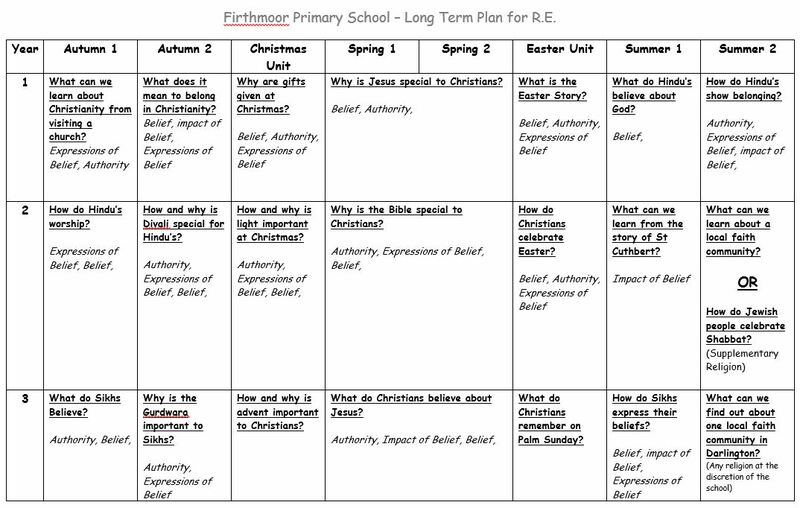 At Firthmoor Primary School, we follow the Durham syllabus for Religious Education which enhances the broad and balanced education of our children. 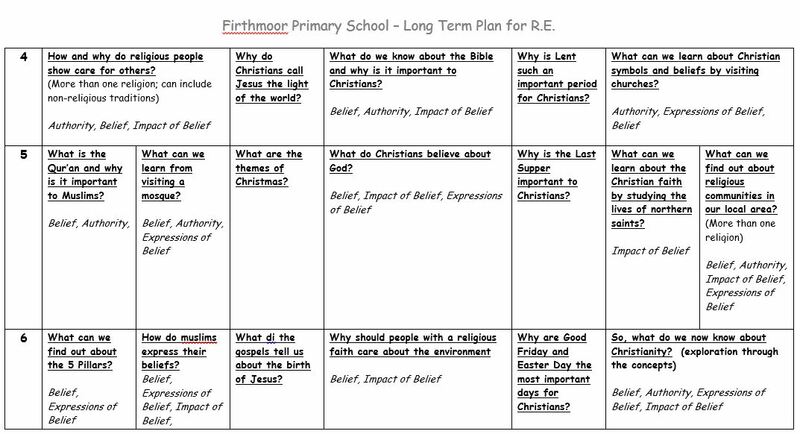 The syllabus provides pupils with the opportunity to explore the concept of ‘belief’ for a range of faiths. Although most units within each year of study focus on aspects of Christianity, children also learn about Islam, Hinduism, Sikhism and Judaism. We encourage children to develop tolerance and understanding of those who may have different beliefs from our own. Key stage and whole school assemblies provide opportunities to reflect, sing hymns and participate in prayer. 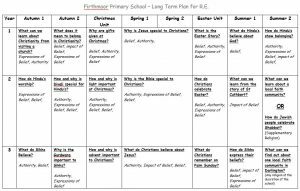 In the lead up to Christmas and Easter, each year group is presented with a specific question to investigate before feeding back at a final assembly. 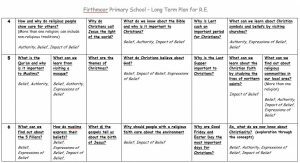 Visits to local places of worship and visitors from a range of faiths are arranged to enhance pupil understanding of the local and wider community. 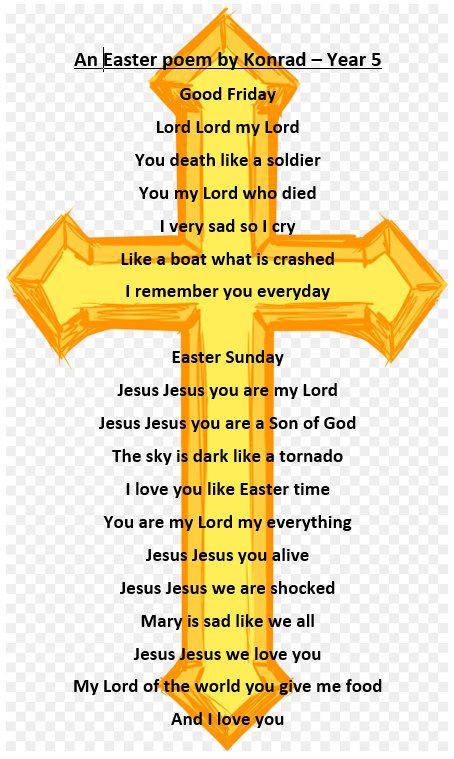 Children in Mrs Walker’s class have been learning about Easter, which inspired our Pupil Konrad to write a poem.